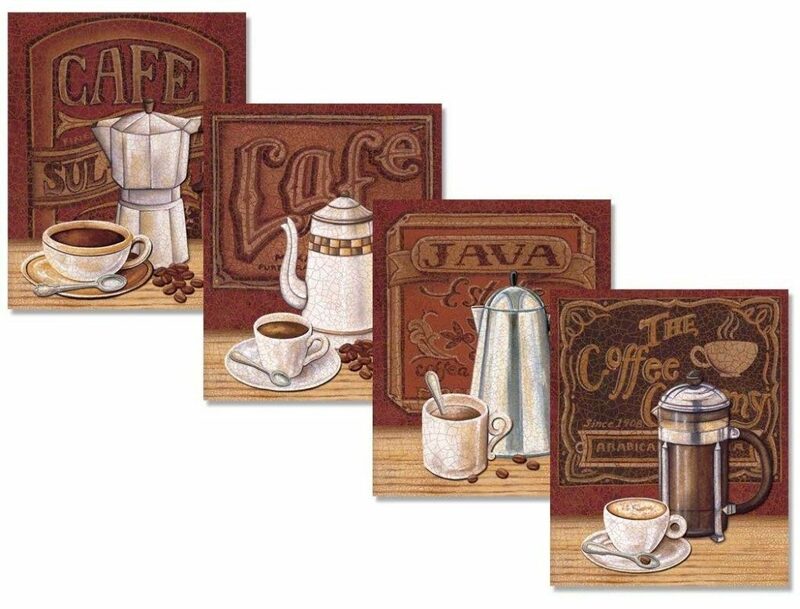 Set of 4 Classic Coffee House Percolator Art Prints Only $7.50! You are here: Home / Great Deals / Amazon Deals / Set of 4 Classic Coffee House Percolator Art Prints Only $7.50! Looking for decor for your kitchen? Love coffee? Then, you’ll want to check out what I found! Get this set of 4 Classic Coffee House Percolator Art Prints for just $7.50! That’s just $1.88 each! And, shipping is FREE! I’ve been looking for some art for my kitchen walls, and these are just perfect! We’re HUGE coffee drinkers!